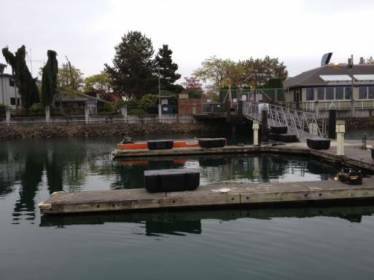 In 2013, the Port of Everett, Washington undertook an improvement project to replace and upgrade the floats under two of its docks. This required the removal and replacement of 440 floatation billets weighing almost 600 pounds apiece. 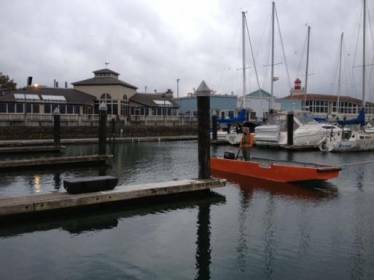 The contractor performing the work turned to Portland Bolt for the galvanized float rods and malleable iron “dock” washers required for the installation of the new floats. With over 100 years of manufacturing experience, and our specially designed galvanizing line, the contractor knew that they could count on us to provide rods that would have high-quality, useable threads when they arrived on the job site. Our expertise, specialized galvanizing line, and inspection processes ensure fast delivery times, clean threads, and trouble-free nut fit that can help to avoid any thread fit nightmares on the job site. 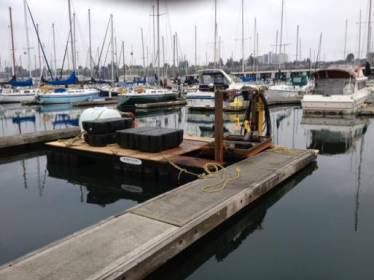 In addition, our large inventory of malleable iron washers and other marine fasteners enabled us to deliver the complete float hardware packages within the two week timeframe that the contractor required, and were actually able to ship the order two days early for the customer! 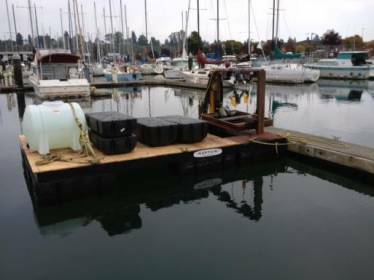 Do you have a marine project requiring galvanized fasteners? Whether big or small, nearby or across the country, contact one of our experienced estimators to help you get the bolts your project requires!